Few months ago web developer Gaurav Pareek introduced child theme for Stargazer. 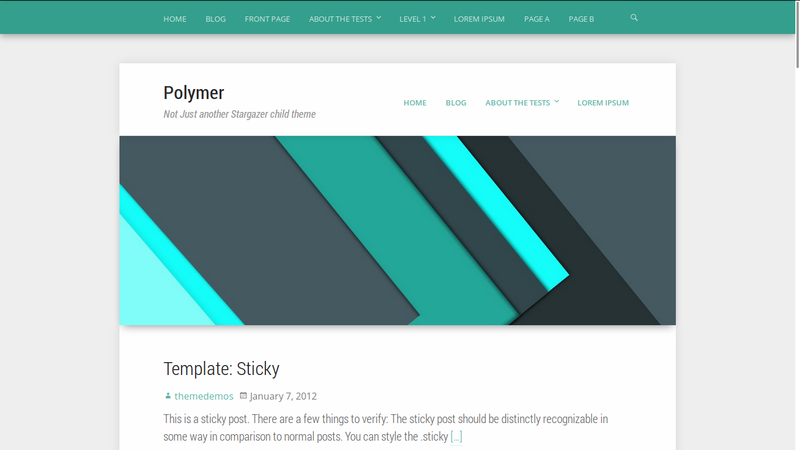 Theme features Roboto Condensed font by Google, material design color palette and #Polymer elements. It fully supports Stargazer #template, including layouts, headers and backgrounds. 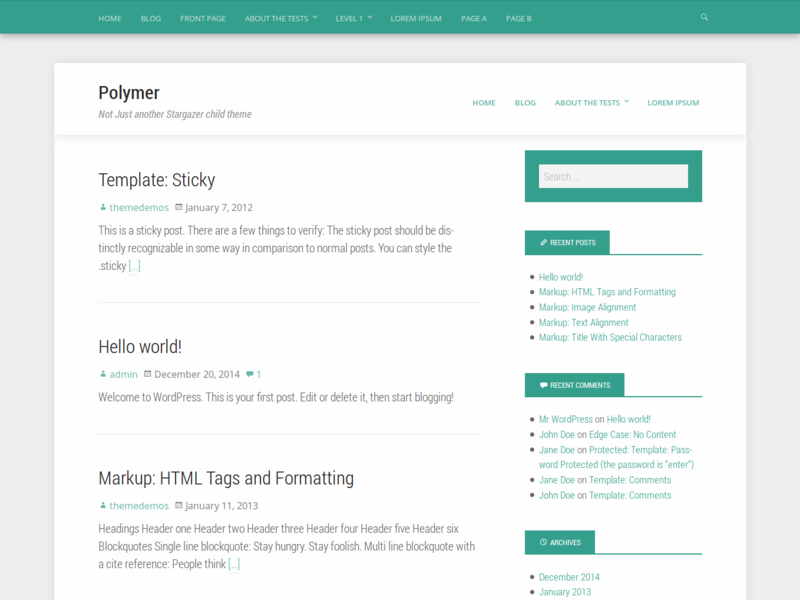 Check out WP Polymer theme demo or download it here. Thank you for featuring my theme. Hi there! I wasn’t really able to pay attention to that site for the last couple of months. I have fixed the problem now, and you can download the theme now.